Sunset Over Laguna Madre - Sunset over laguna madre from south padre Island right before it goes into the cloud. 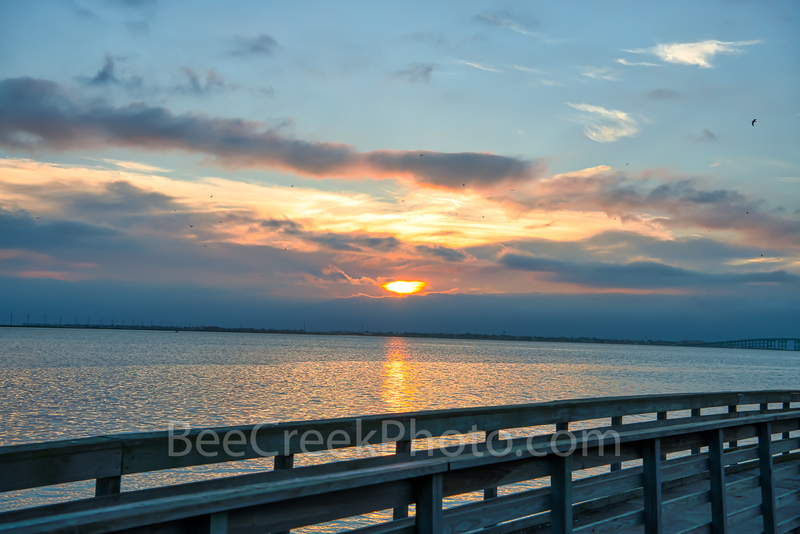 This is from the causeway fishing pier and we just happen to catch the sunset just before it was going into the clouds. South Padre island is a popular tourist attraction and many travel hear year round for the subtropical climate. Photo © copyright by Bee Creek Photography - Tod Grubbs / Cynthia Hestand.